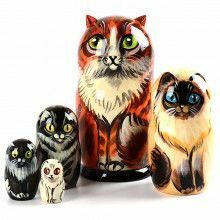 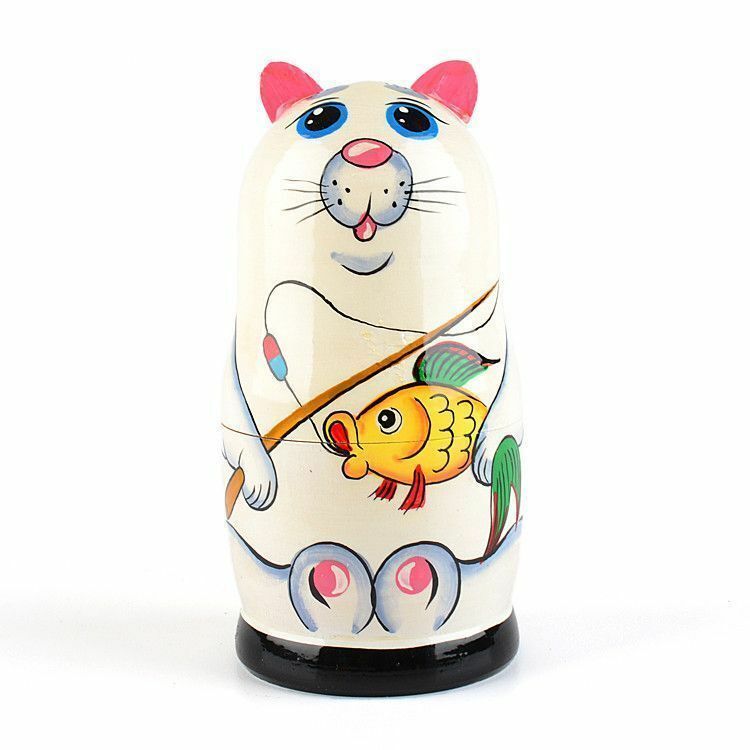 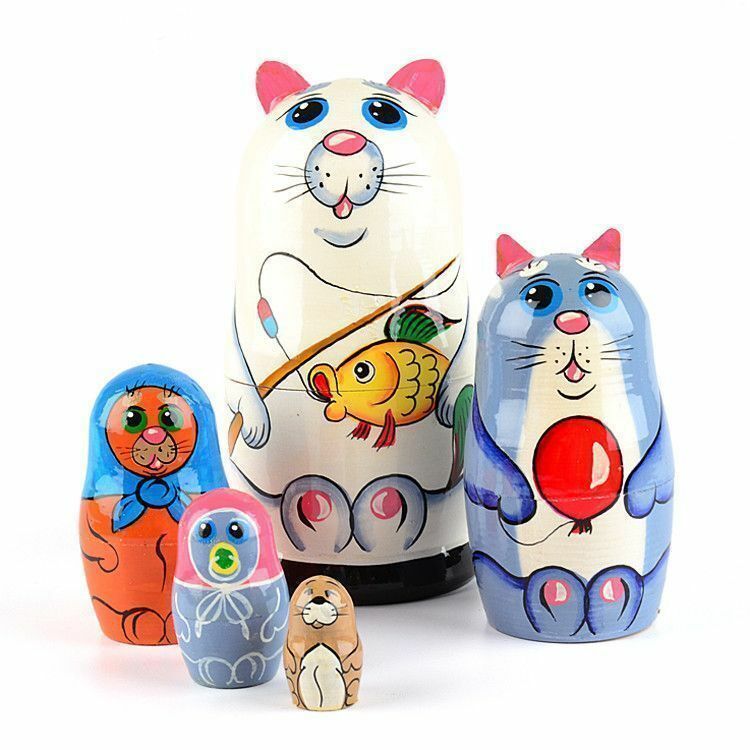 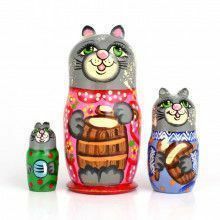 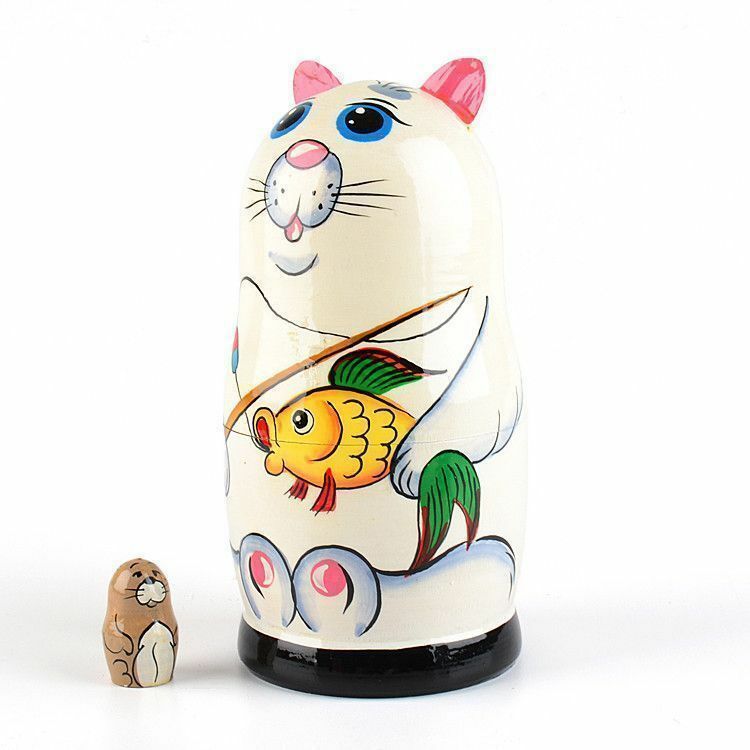 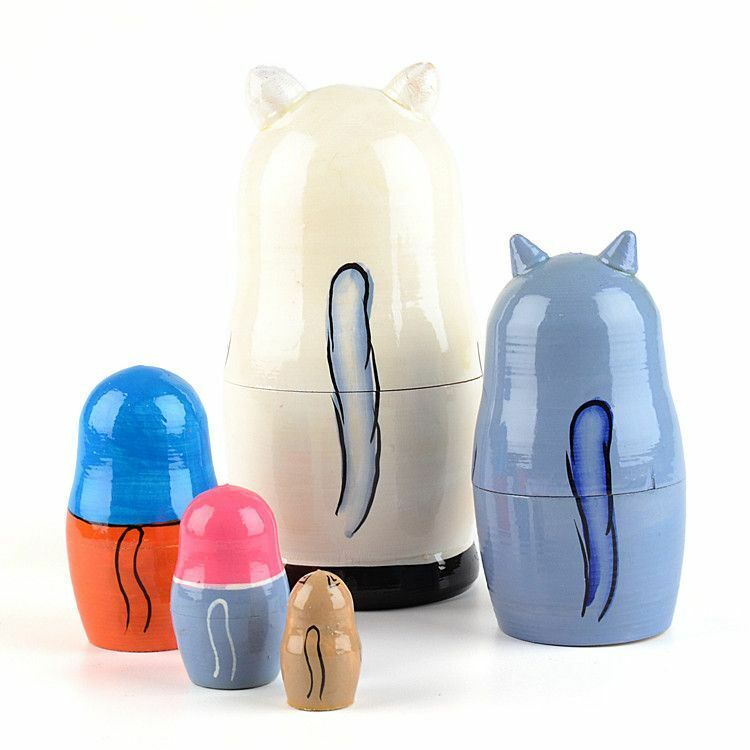 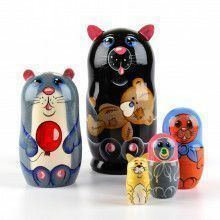 Check out this cute cat nesting doll. 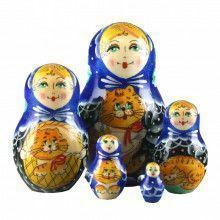 The largest doll (about 6 1/4" tall) features 3-dimensional ears and holds four smaller dolls, also cats. 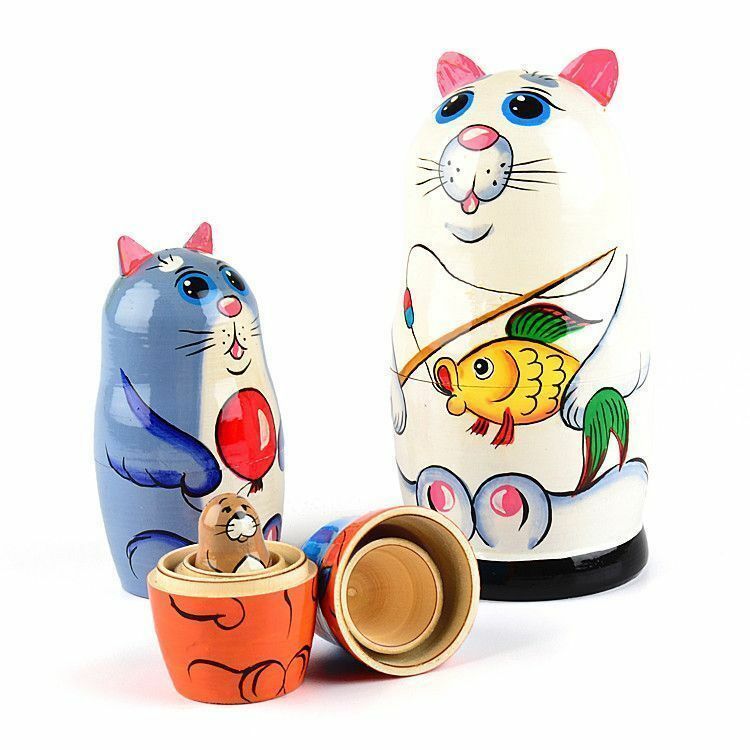 The second largest cat holds a balloon, while the other three smaller kitties just sit and look pretty. 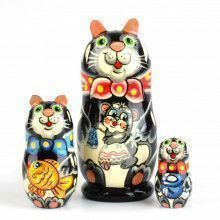 An adorable and fun decoration for any home!